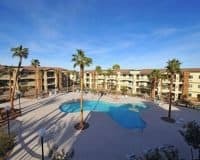 If you are looking for a place to stay in Las Vegas without breaking the bank but still having luxury and excitement, Henderson Las Vegas is the place for you. Henderson is on the very edge of Las Vegas, is also known as Green Valley, and has fast become a trendy alternative to the busy, bustling and expensive Las Vegas Strip. The beauty about Henderson is that you can stay here but still easily make your way to all the Las Vegas strip highlights. 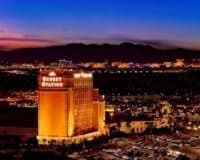 The casinos, bars, nightclubs, incredible entertainment are a short trip away and there is a lot going on in Henderson too. The streets are quiet and you can walk and wander, explore Water Street, get into the art and culture, hang out at galleries – and – there are casinos too. Of course there are casinos! Henderson is just on the edge of Las Vegas. 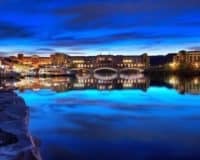 It’s a great place to say for a family, Lake Mead is nearby and you can combine the excitement of the city and all the bright lights of Las Vegas with the great outdoors too. 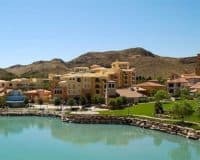 The Aston MonteLago Village Resort, 30 Strada Di Villaggio, is located in Henderson, on Lake Las Vegas, and is the perfect combination of nature and wildlife. 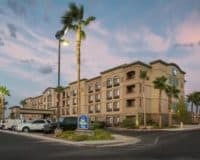 The Best Western Plus Henderson Hotel, 1553 N Boulder Highway, is located in Henderson, close to Lake Las Vegas, making it perfect for nature, wildlife, and entertainment. 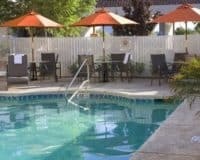 The Best Western Plus hotel, 3041 Saint Rose Parkway, rooms come with all the usual features, including a flat-screen television, with cable, a fridge, and lounge area. 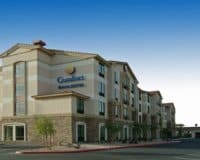 The Comfort Inn and Suites is located on 475 Marks Street Henderson close to Lake Mead, and offers easy access to various trails and hiking options. 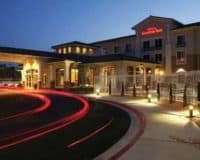 The Courtyard by Marriott at 2800 North Green Valley Parkway Henderson, combines access to nature with a business-friendly design. 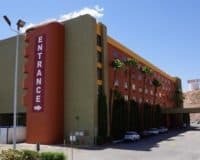 The Fiesta Henderson Hotel and Casino, is located on 777 West Lake Mead Parkway in the city of Henderson, away from the majority of the Vegas action. The Green Valley Ranch Resort and Spa, luxury resort located at 2300 Paseo Verde Parkway in Henderson, close to Lake Las Vegas. 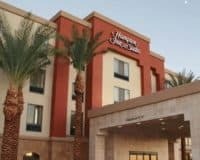 The Hampton Inn & Suites Las Vegas South is situated at 3245 Street Rose Parkway in Henderson, making it a quiet option away from the main Vegas action. 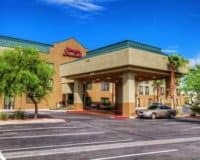 Hampton Inn and Suites Las Vegas, 421 Astaire Drive, Henderson, the perfect location to access the unique countryside, lakes and much more. The Hawthorn Suites by Wyndham, 910 South Boulder Highway Henderson, is a pet-friendly hotel, which is just a few minutes’ drive from the Vegas Strip. 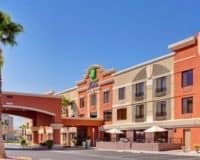 The Hilton Garden Inn Las Vegas, 1340 West Warm Springs Road, Henderson, lies away from the Vegas action, making it a quiet and comfortable option. 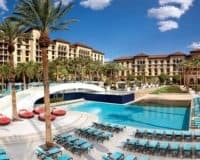 The Hilton Lake Las Vegas Resort and Spa, located at 1610 Lake Las Vegas Parkway in Henderson is a Mediterranean inspired hotel in an area of stunning natural beauty. 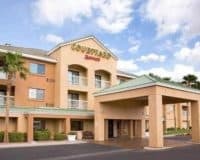 The Holiday Inn Express Hotel & Suites, 441 Astaire Drive, Henderson, lies away from the majority of the Vegas action, making it a quiet and comfortable option. 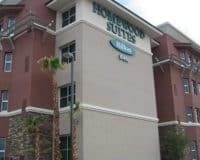 Homewood Suites by Hilton Henderson 10450 South Eastern Avenue, a well-located hotel just a short drive from the world-famous Strip. 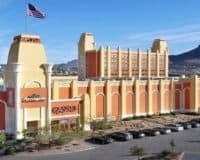 The Railroad Pass Hotel & Casino, 2800 South Boulder Highway, is a great option for anyone who wants to stay away from the main part of the Las Vegas action. 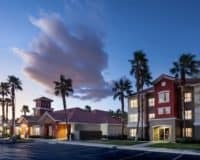 The Residence Inn by Marriott, 2190 Olympic Avenue, is ideal for people who want a different kind of Las Vegas experience, away from the bright lights. 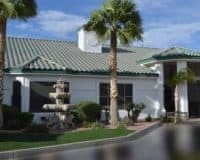 The Secret Garden in the Desert, 402 East Country Club, is principally a public relations and marketing company, which has a travel agency attached to it, ideal for holding an event or a place to do a film shoot. Siena Suites, 6555 Boulder Highway, is an all-suite property that is around a twenty-minute drive from the legendary Las Vegas Strip. 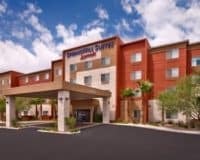 The Springhill Suites by Marriott Hotel, Henderson, 1481 Paseo Verde Parkway, is perfect for accessing the wonders of the Nevada countryside. The Sunset Station Hotel & Casino, 1301 West Sunset Road, is situated in Henderson opposite the Galleria Mall. 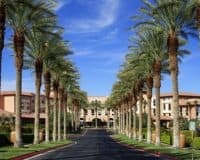 The Westin Lake Las Vegas Resort & Spa, 101 Montelago Boulevard, is ideal for providing access to the magic of the Nevada countryside. 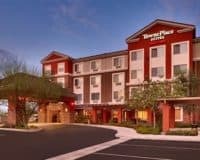 TownePlace Suites by Marriott, 1471 Paseo Verde Parkway, a good option for accessing both the Las Vegas Strip and the Nevada countryside.